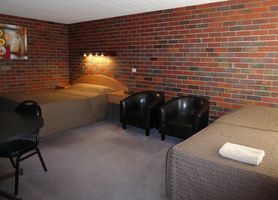 Townhouse Motor Inn offers free Wifi and for your comfort, all rooms are equipped with Reverse cycle air conditioning, 50inch Flat screen TV's and Foxtel. Complimentary tea & coffee making facilities, fresh milk, a toaster, microwave and cups and crockery are also provided. Breakfast is available and served to your rooms and we also provide free on-site parking.